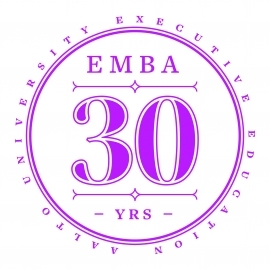 The EMBA program provided by Aalto University and its predecessors – the Helsinki School of Economics and the Helsinki University of Technology – will turn a venerable thirty years old this year. The Financial Times has ranked this Finnish program in the top 100 for the last few years. Remaining among the leaders from year to year has been a remarkable achievement, given that there are around 3,000 EMBA programs around the world. In terms of its international character, the program, which is currently offered in seven countries, is one of the world's brightest stars among EMBAs. - One success factor is the continuous development of the program to meet current challenges. Several dozen participants start in Helsinki every year. Given the continued increase in the number of participants, this year we will start EMBA programs in Helsinki in both the spring and fall. Last year, Aalto EMBA programs had 360 participants in Europe and Asia, says Hanna-Riikka Myllymäki, Business Area Director, Aalto University Executive Education (Aalto EE). Aalto EE’s EMBA program is covered by the Aalto University School of Business’s Triple Crown accreditation. Only 0.5% of the world’s universities have Triple Crown status, based on the most highly regarded quality hallmarks in higher education. Aalto EE arranged the first Aalto Executive MBA program in 2011. Aalto EE has been exporting Finnish education to the world since 1995, when the Executive MBA program was offered for the first time in South Korea. Aalto EE has over 15,000 of its own alumni from various programs around the world, 4,000 of which are South Korean holders of Aalto Executive MBAs. Singapore's first program started in 1999, which is Aalto EE’s hub in Asia Pacific. 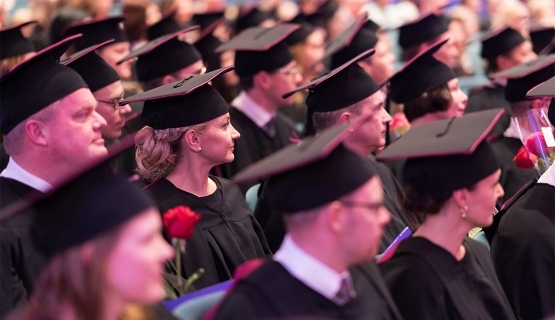 The varied organizational backgrounds and experience of the executives and top experts selected for the program provide the basis of a strong and valuable network which continues the lifelong learning journey in the Aalto EE alumni community. Alumni have the opportunity to participate in events such as the annual Aalto Executive Summit. This brings together current participants and alumni around the world. A total of 150 participants from 23 countries participated in last year’s summit in Singapore. A celebration of reaching the EMBA’s thirty-year milestone will feature strongly in this year’s Aalto Executive Summit. The summit will be held at the Aalto University Otaniemi campus, and the program will include the EMBA’s 30th anniversary gala.